Designed for everyday wear in and around the barn, Muck Juliet Series Rubber Women's Riding Boots have a slim toe and wide heel that's designed to slip into a stirrup and lock securely into place. These women's riding boots are crafted from lightweight CR Flex-Foam that adjusts to the movements and contours of your feet. On the inside, the anti-microbial XpressCool lining pulls away moisture, helping to prevent perspiration and bacteria from accumulating in your boots when the action picks up. 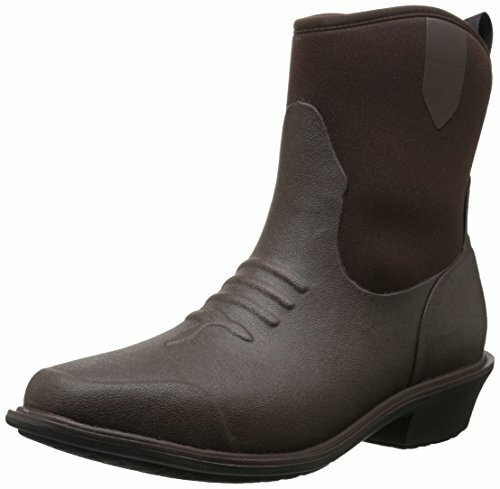 Equipped with a shock-absorbing insole and outsole for extended comfort on your feet, these riding boots are made with a true women’s last for a close, supportive fit. They complement any outfit, and will rinse clean with water at the end of the day.